Join me this Friday night at 9PM as I welcome Prof. Ilio Durandis, professor and Dean at Universite D'Etat d'Haiti (UNDH)-Hinche. We will discuss democracy in Haiti, where it's going and whether we ever had it. We'll also look at current events involving UN Peacekeeping and the newly inaugurated administration, among many other topics. As in the past, you never know where the conversation might end up! 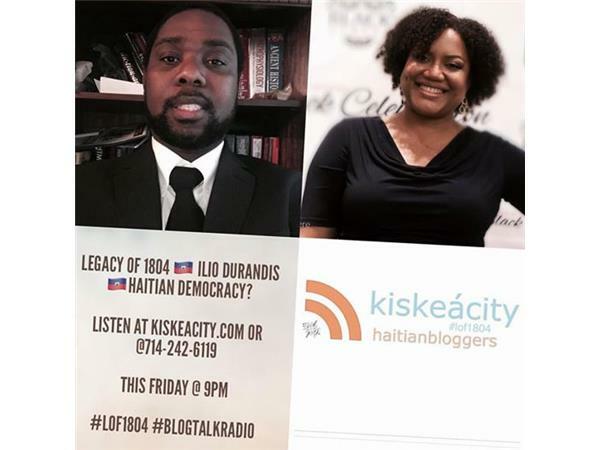 You can listen live or archived at the player below or at http://www.blogtalkradio.com/pancaribbean/2017/02/18/legacy-of-1804-ilio-durandis-haitian-democracy-lof1804. You can also listen live at 714-242-6119.